The 70 year old man who robbed a Kansas City, Kansas, bank so he could get away from his wife, last September? 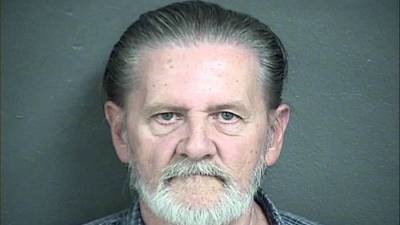 Well, a federal judge on Tuesday sentenced Lawrence John Ripple to home confinement and three years of supervised probation. Last September, Ripple went to the Bank of Labor, which was a block away from police headquarters and gave a note to a teller saying he had a gun and needed money. After he was given the money, Ripple remained in the bank and waited for police. Court records indicate Ripple wrote the robbery note in front of his wife and told her he would rather be in jail than at home with her. Ripple has since had a change of heart and blamed his actions on depression. He told the judge Tuesday that heart surgery left him depressed and unlike himself before he robbed the bank. He is now on medication and says he feels like his old self again.